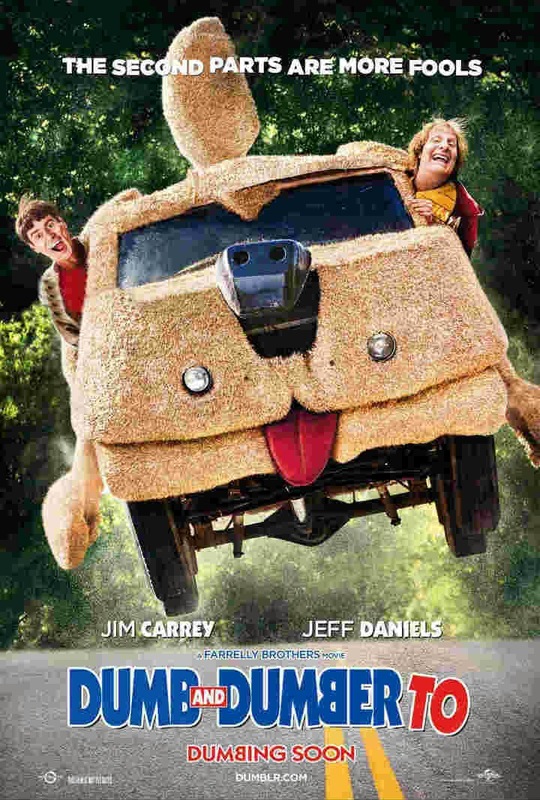 The first poster has finally been released, and it heralds the return of the fur covered Mutt Cutts Shaggin' Wagon in the Farrelly Brothers' highly anticipated sequel to their 1994 masterpiece Dumb and Dumber. Our collective IQ will depreciate on November 14th, 2014. In even better news, Dumb and Dumber To will be getting its first trailer June 10th on The Tonight Show with Jimmy Fallon! Less than a week away.